Web banners are an essential part to any website. It is a primary use of advertisement or for information about the brand or website, and can be categorized as an eye-catching digital design that encompasses the entire brand of the product, business or website in a small space. Usually, these banners are embedded with links back to the website in order for the customer to get to the information they need. Creating these banners can be extremely beneficial to your business, whether you are a web designer or a graphic designer. To help with labeling and organizing each tutorial, I will label them as beginner, intermediate, or expert, in order to maximize the quality of reviewing each tutorial. Today, we will review a few different tutorials on creating web banners with photoshop. This tutorial is simple and easy to follow through, along with an overall design that is expected from the tutorial itself. This website offers a tutorial that would be a great start for any beginner who wants to create a banner, or for anyone who is looking for a simply designed banner that is easy on the eyes. Either way, there is only about ten steps to this tutorial, allowing for anyone to complete it in less than an hour, gaining imperative design experience and skills. 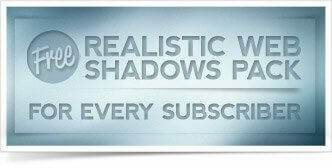 This particular tutorial helps you learn how to integrate animation into a web banner. This skill can be extremely useful in terms of web design, because an animated web banner means that it has a better chance at generating traffic to the website it is linked to, because it draws more attention, and has a better chance of people clicking on the banner, leading to the website of choice. Especially if the web banner has something written as a call-to-action, the banner has a skyrocketed chance of increasing web traffic, and ultimately sales. Fast Print offers an extremely detail-oriented tutorial, which is targeted towards beginner level designers. Anyone can become a designer with thorough tutorials such as these, making for a sort of educational hub that is a useful tool offered to people who just want to improve their skills, or want to become self- taught designers. With tutorials such as this one, it is a wonder how designers need any education at universities at all, with free access to resources such as this one. This is another extremely in-depth tutorial, that helps anyone to create professional in appearance web banners. The reason I labeled this tutorial as intermediate, is precisely because of the sheer mass of instructions, which can easily become complicated or overwhelming for someone that doesn’t have a lot of experience. Although this tutorial has a microcosm of information that is extremely useful to any designer, it can become taxing on someone who just got started learning about web banners. In the end, it is a valuable tutorial that can help you to gain new skills when creating professional grade web banners yourself. Tutorial Web Design is a channel on YouTube, in which they create tutorials on photoshop for designers to get better acquainted with photoshop, and learn new and useful skills. This web banner design is extremely successful in its use of color, shape, and call-to-action typography, and can help any designer improve on their skills when producing content such as this. I believe that this is expert level design, but it is possible that with only intermediate photoshop experience, you can complete this tutorial because of the extensive and in-depth step-by-step instructions are included in this tutorial video. This is why sometimes a video can actually make a tutorial easier to follow, because all of the instructions are labeled and reinforced with the creator’s voice instructing you exactly how to get a certain design, as long as you follow the steps correctly. Another great tutorial based YouTube channel, Photolation uses their skills to translate extremely simplified and easy step-by-step instructions featured in a short tutorial that can be completed in minutes by even the least skilled beginner. Everyone needs to start somewhere, and this tutorial is probably one of the first ones to watch if you are venturing out of your comfort zone, and want to learn a new skill about how to create web banners quickly and easily by simply going online and using the extensive free resources that are available, whether they are written out to have mapped out in front of you, or implemented into video form, which can be a more useful way of learning for people who learn better when something is physically shown to them. 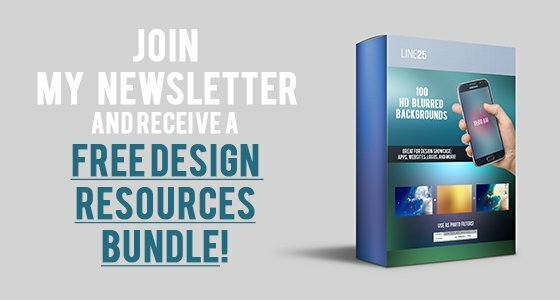 Although this tutorial is the beginner’s dream, you can create professional grade web banners with little to no experience, and that is what is so great about the resources that we have all over the internet today. Apple Graphic Studio has a Photoshop expert create in-depth tutorials that are useful to anyone who views them. I labeled this particular tutorial as expert, simply because after viewing the tutorial, I think it is necessary to know about the tools in Photoshop that are needed in order to create this banner. This banner is extremely professional, and a rollup banner is slightly different than the normal banners be have seen, because a rollup banner will usually be printed out in a large size, meaning that you must have the exact dimensions needed in order to not have it look pixelated. The great thing about this banner though, is that it can also be applied to web banner design. This design is great no matter where it is placed, because the advertisement for the site will be the same. If you have intermediate Photoshop experience, it might be a good idea to look this tutorial over and see if you can gain any new skills from it. Watching any type of content made by a professional will usually be beneficial to you as a designer, or whatever profession you are in for that matter. This is because with the extensive knowledge that this individual has, one or two important points will be sure to leave a lasting impression on you, which will be implemented in the future, only increasing your skill and knowledge of the business. Adobe Photoshop is like parent software for all the graphic designers. Most of the things can be accomplished in this software if a person holds a good command over it. I when doing my internship as a web designer, even found out the way we can actually create resolution independent graphics in our very own Photoshop. It is like we keep the resolution to 300 and save in high resolution PDF while also turn off some layers and scalability options.